Palacio Municipal de Congresos, Madrid. TRENDS Research and Advisory is proud to be a Knowledge Partner at the Club de Madrid Policy dialogue which was held in Madrid 27-28 October 2015. 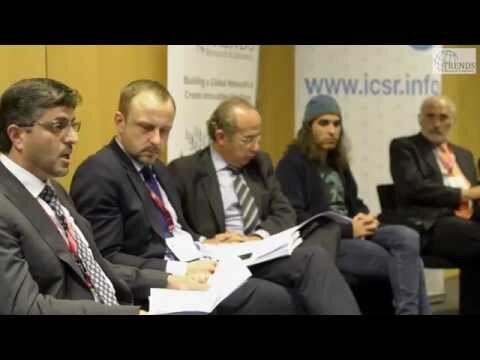 TRENDS, in cooperation with the International Centre for the Study of Radicalisation (ICSR), King’s College, London, UK organised a Workshop dealing with “Countering Online Radicalization”. The Club de Madrid Policy Dialogue was a two-day conference mobilizing policy makers, opinion formers, civil society and grassroots organizations around the concept of preventing and countering radicalization and violent extremism, increasing public engagement and promoting grassroots initiatives. For further details of the Madrid event please visit http://www.clubmadrid.org.